Malaysia has modern electronic signature laws, and electronic commerce laws in place. These measures provide good level of protection for computing in Malaysia. Malaysia has data protection regulation in place that is generally compatible with globally recognized frameworks. However, the law does not include data breach notification provisions and data controllers are required to register with the Personal Data Protection Department. Malaysia has specific provisions in place for law enforcement access to encrypted data that, in some instances, may act as de facto mandate for the use of specific security technology. Malaysia’s copyright laws are aligned with international standards, although enforcement remains patchy. 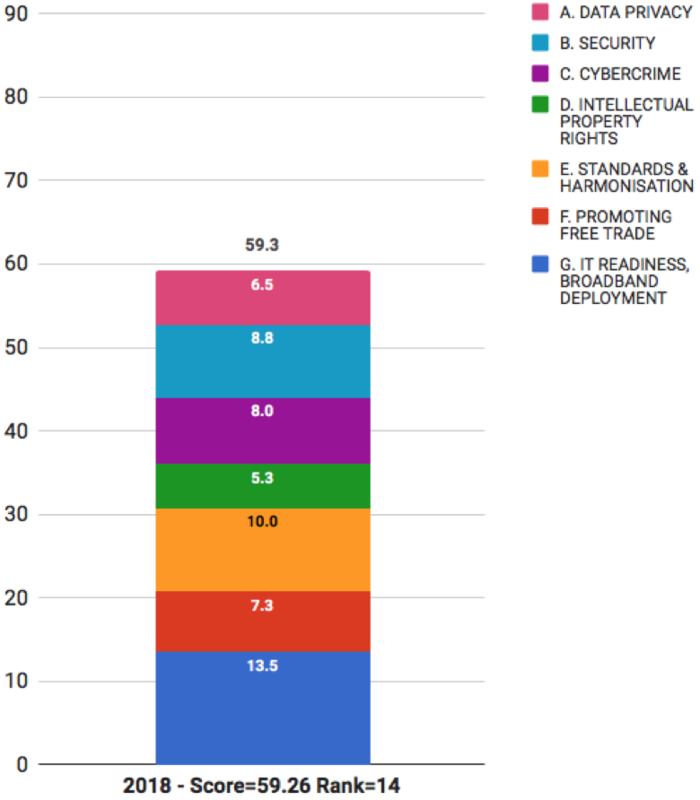 Malaysia has a moderate level of broadband penetration. In 2015, the government committed to new broadband targets: by 2020, 100 percent of households in capital cities and high-impact growth area to have access to speeds of 100 Mbps and 50 percent of households in suburban and rural areas to have access to speeds of 20 Mbps. Malaysia fell slightly in the Scorecard rankings — from 13th place in 2016 to 14th place in 2018. - 14th for IT readiness and broadband deployment.